Situated on the powdery white sand of the Emerald Coast, the Dunes of Panama is one of Florida’s most enjoyable vacation destinations. Because this premium resort is in the heart of Panama City Beach, guests can enjoy the city’s many attractions while experiencing the warm breeze from the ocean. Regardless of the occasion, the Dunes of Panama and surrounding areas can appeal to every visitor’s interest. Beginning upon arrival, this exclusive resort welcomes guests to their coastal home away from home. Visitors will be swept away by the ocean breeze from the private balconies as they enter into the comforts of the one, two, or three-bedroom condominiums. Each spacious beach retreat features a fully equipped kitchen, extravagant furnishings, cable television, dining area, living room, and two baths. Some amenities of the unit include a fitness center, wireless internet, swimming pools, and swing sets. For a truly luxurious living experience on the Emerald Coast, these expansive suites will satisfy every desire. As one of the best beach destinations for guests with active lifestyles, Dunes of Panama presents families and couples with an extensive collection of fun pursuits. The Kids Souvenir T-shirt Painting is designed exclusively for younger visitors although parent participation is requested. This interactive activity offers children aged 5 to 12 years old the opportunity to create a beach-themed t-shirt starting at 8:30 am on select days throughout the week. Additionally, the resort encourages guests to reserve one of the many game equipments including Frisbee, basketball, badminton, sky darts, and dodge ball. All of the family recreational opportunities have been carefully planned to provide optimum levels of enjoyment while simultaneously nurturing each child’s inquisitive mind. Renowned for a “life in balance” philosophy, Panama City Beach provides a plethora of stimulating activities such as food festivals, music concerts, and fairs for adult guests. A few of the upcoming happenings include Seniors Softball, St. Andrews Mardi Gras Parades and Festival, Winter Resident Senior Prom, Valentine’s Day Dolphin Cruse, and Baybreeze Concerts. Also located within the city limits are over twenty golf courses. Ranked as the best little golf town in America by Golf Digest magazine, Panama City Beach is home to The Hombre Club, Holiday Golf Club, Signal Hill, Nature Walk, and Shark’s Tooth. These adult-only activities are minutes away from the Panama City Beach vacation rentals. Allow a team of talented chefs to prepare scrumptious meals at two celebrated restaurants: Captain Andersons and Suds Weezers Beach Store & Deli. While Suds Weezers Beach Store & Deli specializes in summer-styled food like sandwiches, pizza, and smoothies, Captain Andersons is known for delicious seafood dishes. Additional restaurants are located on Pier Park so guests are sure to discover a cuisine that will satisfy their taste buds. From a good ole fashion burger to delectable oysters, experience meals cooked to perfection at one of the many eateries in the town. 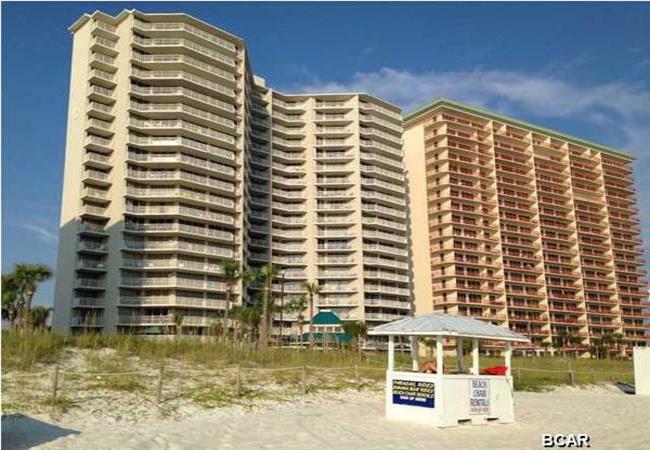 Discover a redefined fun in the sun by renting one of the Panama City Beach vacation rentals.